Brickwork adds real character to a home, but it requires maintenance and work, especially if you decide to paint your brickwork to change things up with interior or exterior décor. It can be a big job if the area of brickwork is extensive, but it’s well worth the effort for the potential results. Besides, freshly painted brickwork adds to curb appeal and can even bump up the value of your home in the eyes of buyers. Before you think about starting to paint interior brickwork, make sure you have the right tools available. Painting brickwork can be tricky. Go to a specialist hardware store or turn to the experts from the Atlanta Painting Company for professional guidance on tools and materials specific to your needs if you have never painted brickwork. In the meantime, the following tools are a general guide to what you will need. If you have a fireplace, the following steps will help you achieve a beautiful finish. If at any stage you are feeling out of your depth, the Atlanta Painting Company is just a phone call away. Cleaning is the first step when painting any surface if you want a smooth finish. Fireplace brickwork can accumulate a lot of flavors of dirt over the years. Use a steel wire brush to thoroughly clean the surface so it is prepared for a paint application. Donning your goggles and rubber gloves, apply TSP to the brickwork. 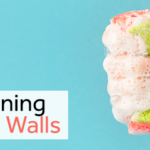 Scrub the brickwork in sections so you don’t miss any residual dirt and soot. Once complete, you will need to leave the brickwork to dry for at least 24 hours. 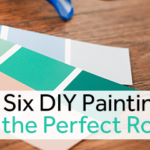 Take this time to make sure everything you don’t want to paint is covered or taped. Check the surface to make sure it is completely dry before beginning to apply primer to the brickwork. You will need to use smaller brushes on sections of the brickwork that a roller can’t reach. 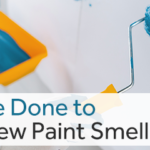 A second coat may be necessary to ensure that the surface is fully primed and ready for paint. Once the primer has dried, you are ready for the final task – painting. 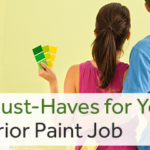 You can choose gloss, semi-gloss or flat paint, but it is worth keeping surrounding décor in mind. Homeowners often choose semigloss or gloss because they are easier to clean. There is also the added effect of reflection if you light a fire during colder weather. 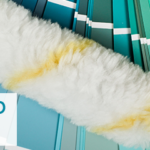 A textured roller is designed for rough surfaces, so it’s the ideal choice for your first coat of paint. You can then use your smaller brushes to fill in boundary and hard-to-reach areas. Make sure to work the paint into every crevice and apply additional coats until you get full coverage. The only time you should use a power washer on exterior paintwork is when you intend to repaint. A power washer will blast dirt off the surface of your exteriors so that it’s ready to paint. Allow the walls to completely dry and then get ready to seal any cracks to prevent leaks. You can fill in these cracks in the mortar using acrylic caulk. The next step involves priming the surface of the brickwork so the paint will stick. When you prime a wall, you will have to wait until it is completely dry before applying the first coat of paint. You may want to paint window sills, frames, and other exterior elements, but you don’t want to get paint on the window glass. If there are any features you don’t want to paint, make sure they are covered and that the covering is securely taped down. Use a paint sprayer in an even motion to move back and forth so that you cover large areas effectively. For smaller areas, you can use rollers or paint brushes to make sure there are no uncovered spaces. Always exercise caution when on a ladder. Do not over-stretch and make sure you have three points of contact with the ladder at all times. If you want a professional finish for your interior or exterior brickwork, the Atlanta Painting Company can get the job done quickly and efficiently. We have built a reputation on quality workmanship that makes Atlanta homes shine.